Muslims believe that to prove the prophet-hood of Muhammad (PBUH) is one of many essential tasks in their religion; therefore, it is a compulsory duty for Muslims to present this evidence and proof. There are many and various ways to prove that, but the most important way is by understanding the prophecies given by the previous prophets that prophesize and confirms the arrival and the authority of a final prophet to humanity, in order to re-establish the religion that God Almighty accepts until the Day of Judgment. 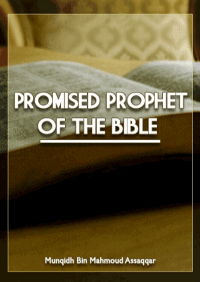 The reason that these prophecies are most important, and why Muslims are concerned, is that they exist in the Jewish and Christian sacred writings, and that they indicated the coming of Muhammad (PBUH) centuries ago and in various eras.